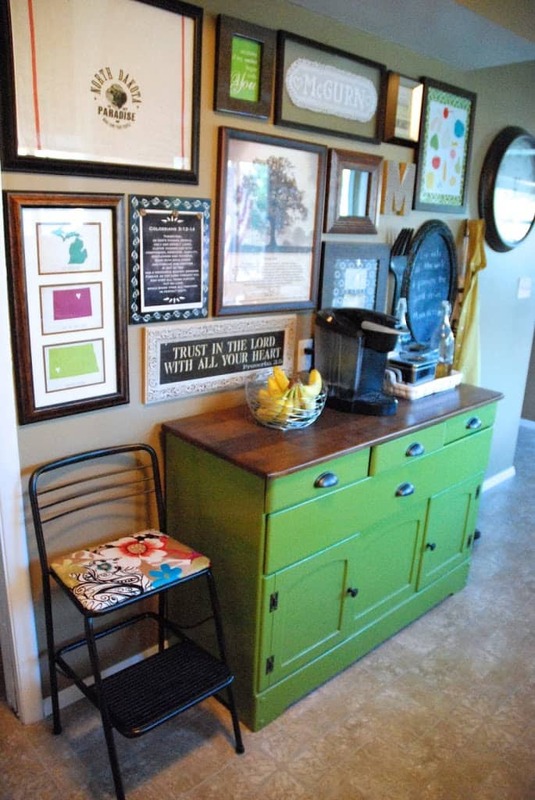 Just Because it’s Ugly…doesn’t mean it can’t be transformed into something great! 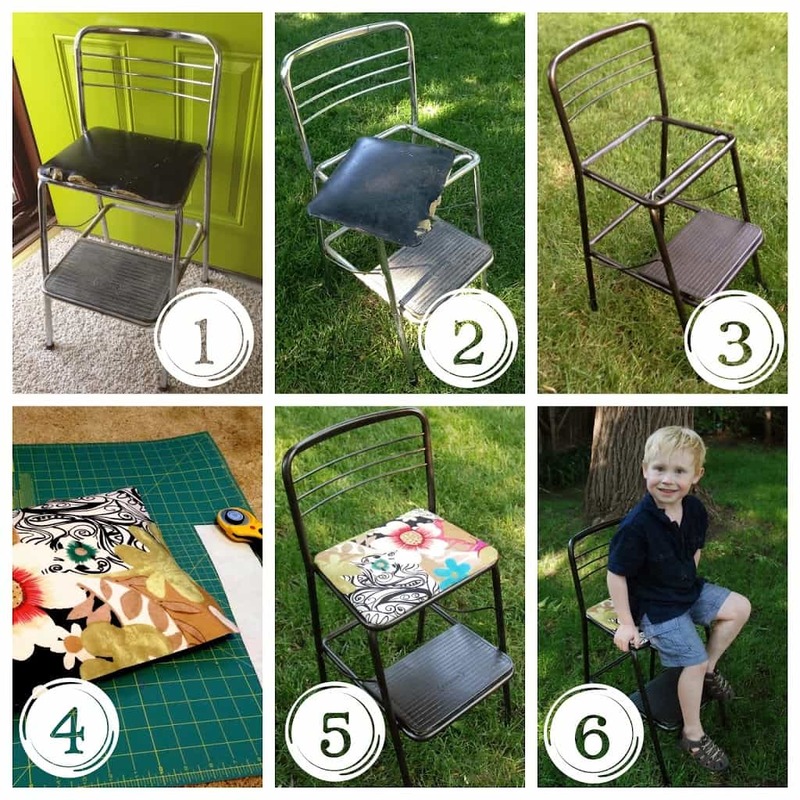 I see these stools ALL the time at thrift stores, garage sales, and auctions and they sit. And Sit, and Sit. So usually I end up buying them for around $2. 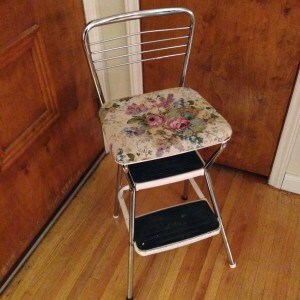 Maybe people are intimidated by the floral tapestry, the rusty legs, the dried on food, or the cracked rubber feet? 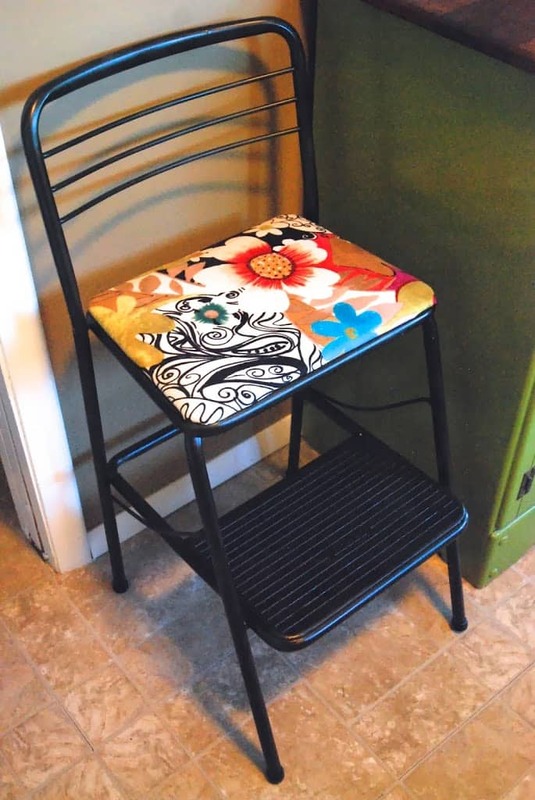 BUT… with 1 can of spray paint, a can of sealer, a pack of new rubber feet, and about 1/3 yard of a cute fabric look how darling this is! 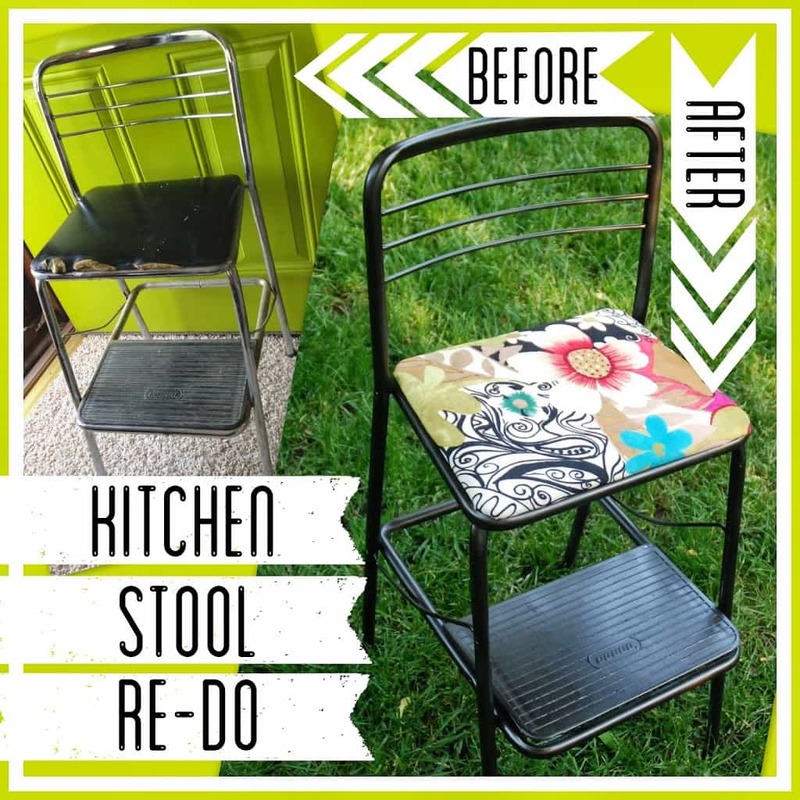 When I came across this cute little kitchen stool I knew with a little TLC it would be perfect in my kitchen (my old kitchen now!). 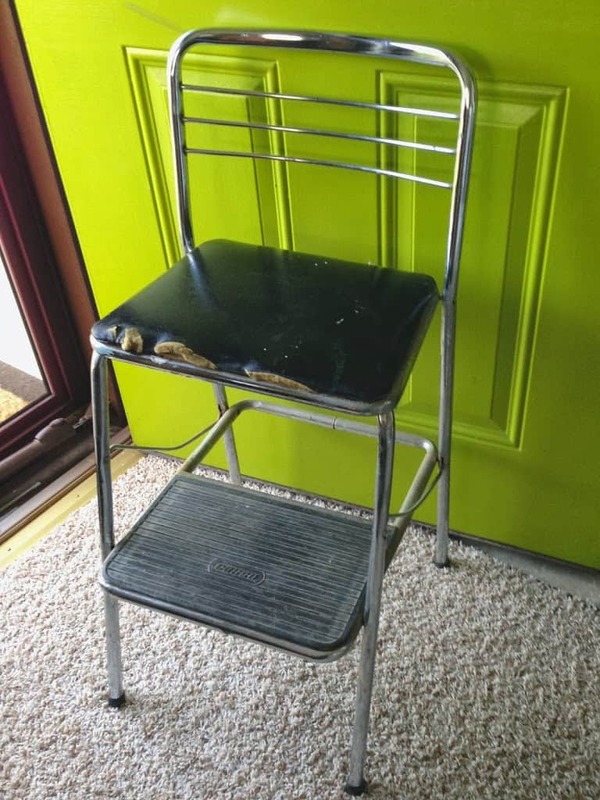 Once I got it home I popped the seat off of it and gave it a really good cleaning with some goo-gone and soapy water. I also took off the little bumpers on the feet. Once it was totally dry I sprayed it with Krylon “Oil Rubbed Bronze” paint and primer in one. The key was to do about 4-5 light and even coats. 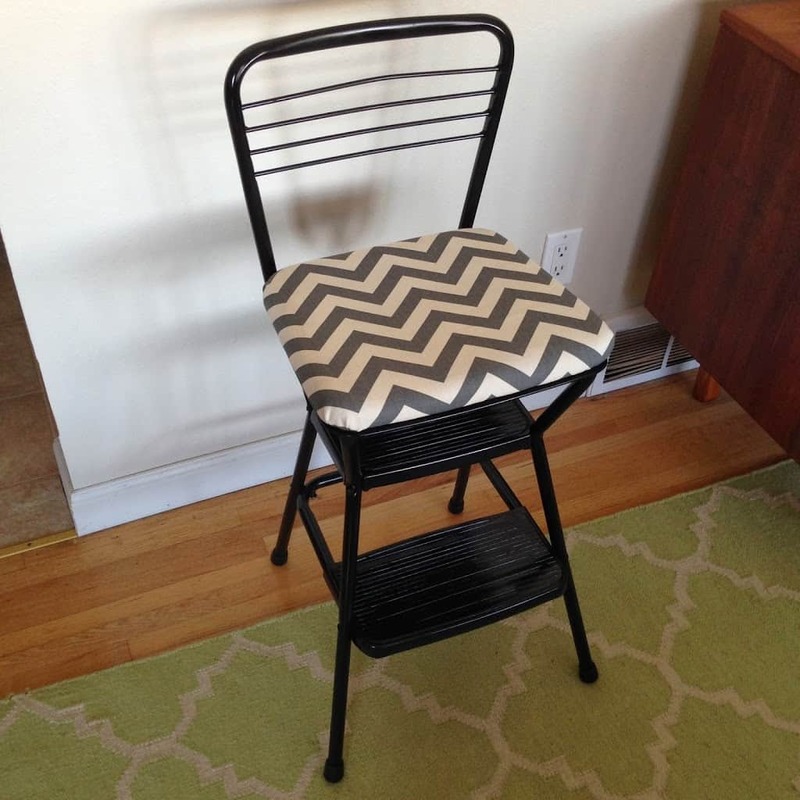 Then I removed the torn leather from the seat and covered it with this fabric by stapling it to the bottom. Then I re-attached the seat and put on some new feet bumpers and it was ready to go! I looked so cute next to my spray painted buffet and with my gallery wall! 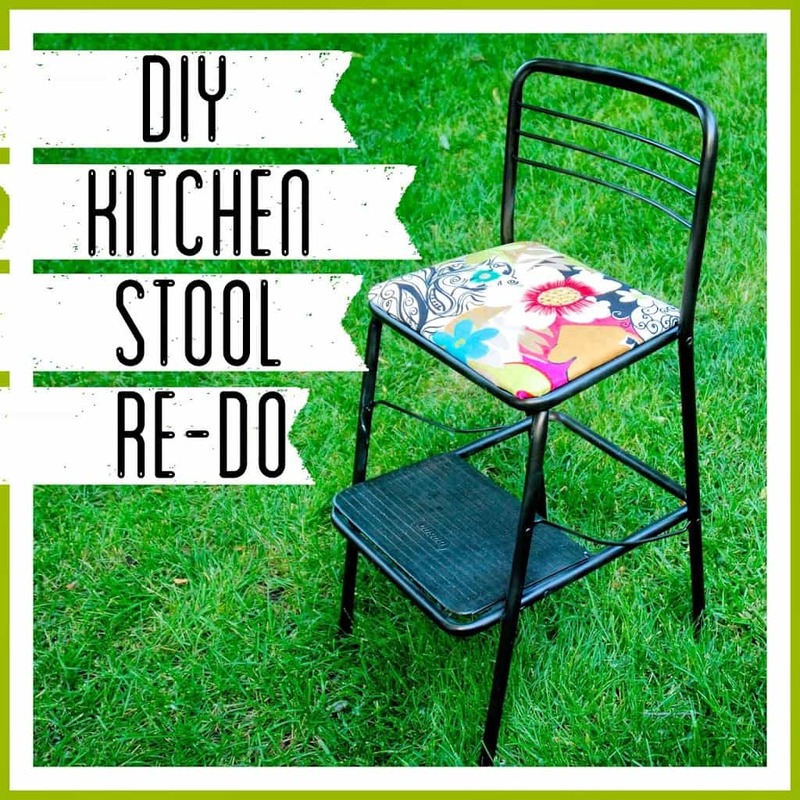 OK, so next time you see a rusty and torn up kitchen stool now you know it’s true potential!